The Newton MessagePad was an ahead-of-its-time device. In many ways, it predicted the kind of mobile device success Apple would later achieve with the iPhone. People both inside and outside the company often regarded Apple’s PDA as then-CEO John Sculley‘s answer to Steve Jobs’ Mac. The Newton was the brainchild of an Apple engineer named Steve Sakoman. Passionately dedicated to handheld computing, he previously built the HP 110, the world’s first battery-powered portable MS-DOS PC, while at Hewlett-Packard in the 1980s. 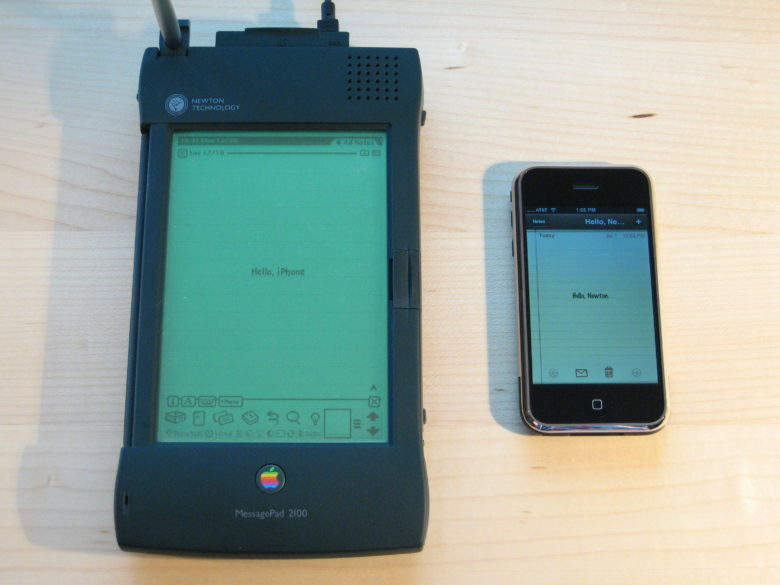 The Apple PDA started out as a skunkworks project in 1987. It continued as an R&D investigation until 1991, when Sculley saw it. From this point on, the Newton project pushed full speed ahead. By 1993, however, the Newton encountered problems. For one thing, the handwriting recognition software did not work as well as planned. The project also experienced tragedy when programmer Ko Isono, who worked on the software side of the Newton, committed suicide in his home in Fremont, California. It was a dark time for all involved. Nonetheless, the press remained eager to know what Apple planned for its breakthrough device — hence the wager in Hanover. Ultimately, the Newton launched in August 1993, just before the official end of summer. While it later became a worthwhile product in its own right, the first-gen Newton proved disappointing and seemingly unfinished. Some people suggested that Bastiaens rushed its release because he loved his wine cellar so much.